Michael Ward, the Managing Director of Harrods (HARRODS! and yes.... 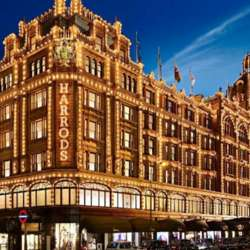 THE Harrods) will be engaging on topics of branding in the luxury industry and the legal issues associated with it. You'll want to hear from one of the most influential businessmen in the world. Don't miss out on this incredible opportunity!